The concept of an oral health coalition began as a plan to expand partnerships in the community and was identified during a Saskatoon Health Region- Dental Health Program (SHR-DHP) Review in 2007. Best practice literature at the time stated that developing a coalition focused on oral health and including community partners and stakeholders was an excellent practice to expand the importance of oral health to a broad and diverse group of individuals and agencies. This would allow for an intersectoral approach for problem solving and working together to improve the oral health of the community. The SHR-DHP supervisor was proactive in the development process. From 2008-2010 the supervisor presented to the professional dental associations and various community groups. The presentations focused on the dental health program review, an update on current work related to dental public health in the SHR and an invitation to be involved in the Saskatoon Oral Health Coalition. Associations, groups and agencies that were approached expressed a keen interest to be involved. 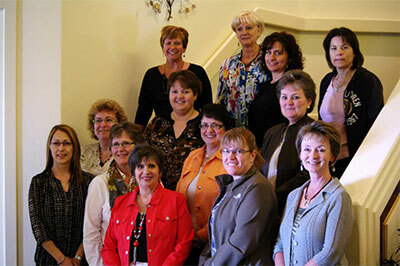 The inaugural meeting of the Saskatoon Oral Health Coalition (OHC) was May 26/2010. Over 70 people were in attendance with a wide variety of agencies and groups represented. There was wide support for the need for an Oral Health Coalition to tackle many of the oral health issues in the area. The coalition set about meeting twice each year. This schedule continues with a spring and fall meeting. There is consistent representation from a wide variety of interested individuals and groups. Overall membership is approximately one-third oral health professionals with the remainder being other health professionals, education, government and community agencies. Between 2010-2012, there was a shift in direction for the coalition driven by the Saskatoon OHC members. On October 30th, 2012 members voted to change the name of the coalition to the Saskatchewan Oral Health Coalition and broaden the reach to include the province. The focus is on oral health issues and concerns related to populations at high risk of oral disease and low/minimum access to oral care. Saskatoon Oral Health Coalition (SOHC) concept was identified through a program review conducted by Saskatoon Health Region – Public Health Services – Oral Health Program. Best practice literature indicated that oral health improvement can be significant when working in partnership with the community. Oral Health Program supervisor made presentations to various stakeholders related to the development of an oral health coalition for the health region, and invited their participation. May 26, 2010 Inaugural meeting of the Saskatoon Oral Health Coalition, at The Willows in Saskatoon, with attendance of approximately 70 people. Inaugural meeting provided partners with updates on current oral health programming in Saskatoon Health Region, University of Saskatchewan-College of Dentistry, Long Term Care, White Buffalo Youth Lodge, and Population and Public Health – Oral Health Program. Session also included a facilitated process to identify future, common action plans. November 3, 2010 meeting at Parkridge Centre focused on partner updates and priority setting .Building a Healthier Saskatchewan- Improving Children’s Oral Health at Risk Initiative was introduced for community feedback. Oral Health Coalition meetings at Parkridge Centre and the 4 Points Sheraton in May and October of 2011. Meetings included partner update and challenges (such as water fluoridation in Saskatoon), in addition to facilitated strategic planning for future growth and development. The Leadership Team was implemented to oversee the future development of the OHC. Leadership Team worked on guidelines, mandate, vision and stakeholders mapping. Oral Health Coalition meetings at The Willows in May and Oct 2012. Focus on oral health in Long Term Care (LTC) home, Early Childhood Caries, Early childhood and maternal oral health. Vision and philosophy, logo, and Leadership Team Terms of Reference were approved by membership. On Oct 30/12 the membership voted to expand the coalition to the province. The new name of the coalition was voted on and it became the Saskatchewan Oral Health Coalition. May and October meetings were held at Saskatoon’s Western Development Museum. Focus was on Ministry of Health’s Enhanced Preventative Dental Services Evaluation of Year 1; release of our Better Oral Health in Long Term Care video; introduction to the Prevention Institute’s Maternal Oral Health Project and update on the Saskatchewan and Saskatoon Health Region Dental Health Screening Report 2013/2014. May meeting at McClure United Church in Saskatoon. First meeting of SOHC in Regina at the Travelodge in October 2015. Updated SOHC logo was selected. Members did small group work for future planning. Focus on the World Health Organization recommendations on sugar intake, Long term Care presentations about Santa Maria (Regina) and Providence Place (Moose Jaw), Children’s Oral Health Initiative ( COHI) and the releases of “A Day Surgery Perspective: Treating Dental Cavities in Children “video. SOHC team presented at the 2015 Saskatchewan Oral Health Professionals conference in Regina. May meeting held in Saskatoon at the German Cultural Club with October meeting held at Regina Travelodge. In 2016, SOHC meetings were live-streamed events with a YouTube video of meetings available on website. Collaborative work with the Heart & Stroke Foundation on “Be Sugar Smart” initiative marketing to children. Successful SOHC grant for SIGA/Dakota Dunes Tooth Fairy Project and Report updates from the Canadian Dental Association on Access to Care and Long Term Care and report on the Free Dental Day at Sask Polytechnic. May meeting held in Saskatoon at the German Cultural Club and October meeting held at Regina Travelodge were live streamed events. Highlights were Alberta Oral Health Action Plan, continuing education and collaborative work with the Heart and Stroke Foundation, “Be Sugar Smart” letter writing campaign to stakeholders related to advertising to children. Successful grant from Community Initiatives Fund (CIF) Tooth Fairy Project and report; focus on First Nation Oral Health Initiatives and Immigrants Oral Health. October 2017 SOHC was officially incorporated as the Saskatchewan Oral Health Coalition Inc.